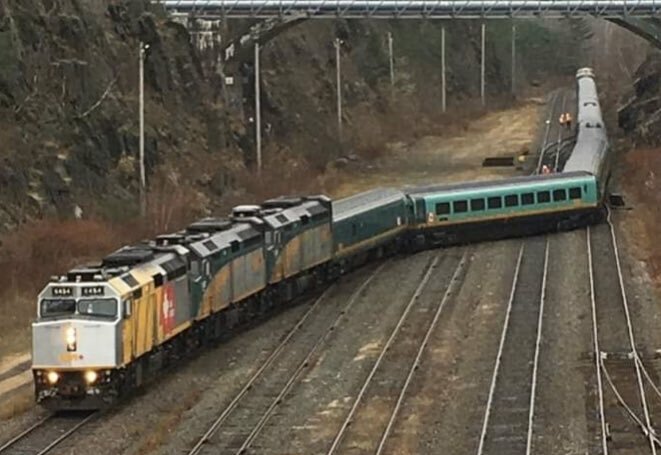 it was a bad weekend for train operations in Nova Scotia. 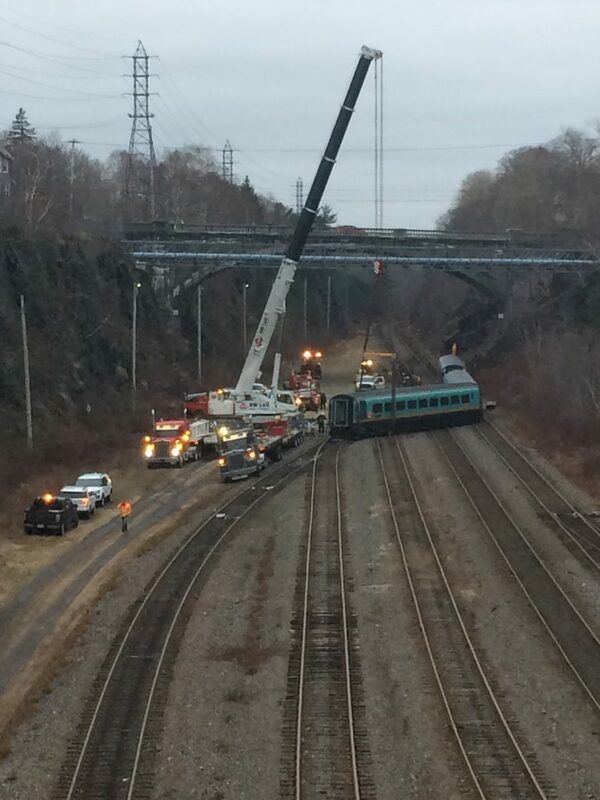 Sunday, the VIA rail train that arrived on Saturday was being turned around, when it derailed. the train was unoccupied at the time, and the equipment was removed Sunday night. As this incident blocked all access to Halterm, its possible some delyas in container movements happened. Friday afternoon, a Via Employee was stepping off train 15 (the Halifax to Montreal Ocean) as it slowly pulled into the station at Truro when he got caught, fell and was struck by the train. a 63 year old man was taken to Hospital in Halifax , with serious injuries. An earlier news report said he had a severed leg. though the veracity of that is unknown. This entry was posted in Railway on November 26, 2018 by Peter.